A steel plaque with a high serpentine shaped top is attached to a steel pole. The plaque is painted light brown with gold lettering. 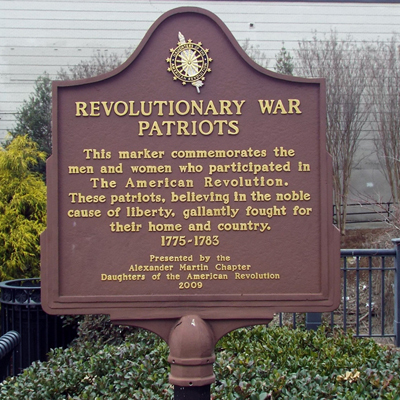 Above the inscription is the spinning wheel insignia of the Daughters of the American Revolution. The marker stands on a brick plaza, or, Memorial Park, located at the intersection of N. Main Street and E. High Avenue. Other memorials include Veterans Memorial, African American Gold Star plaque, World War Two Honor Roll, WWI Doughboy statue, and POW/MIA plaque. On the corner across E. High Street is a plaque to General Maxwell Reid Thurman. Across Main Street at the restored High Point Train depot is the Plank Road Foreman statue and “High Point” marker. 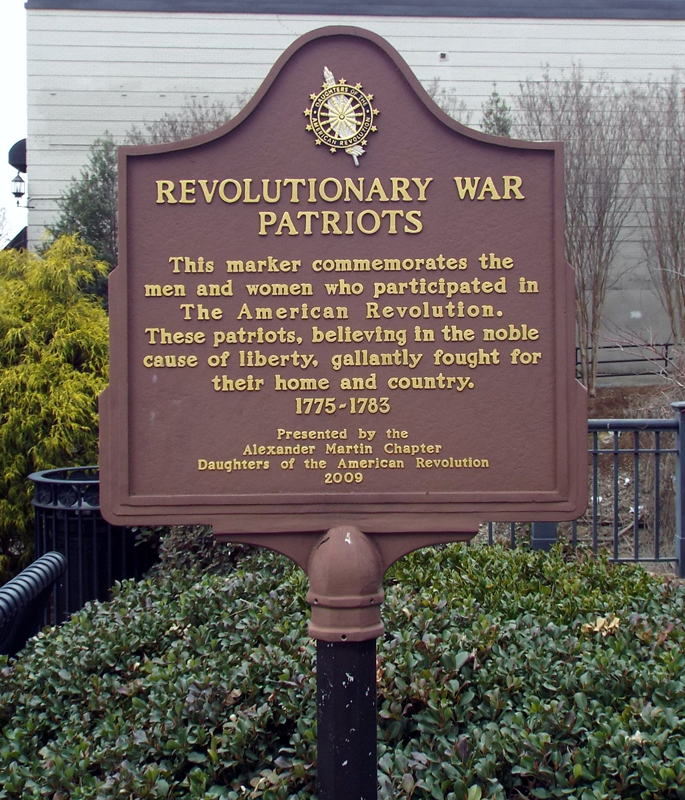 Bushes and trees adorn the brick plaza where the Revolutionary Patriots marker stands on.